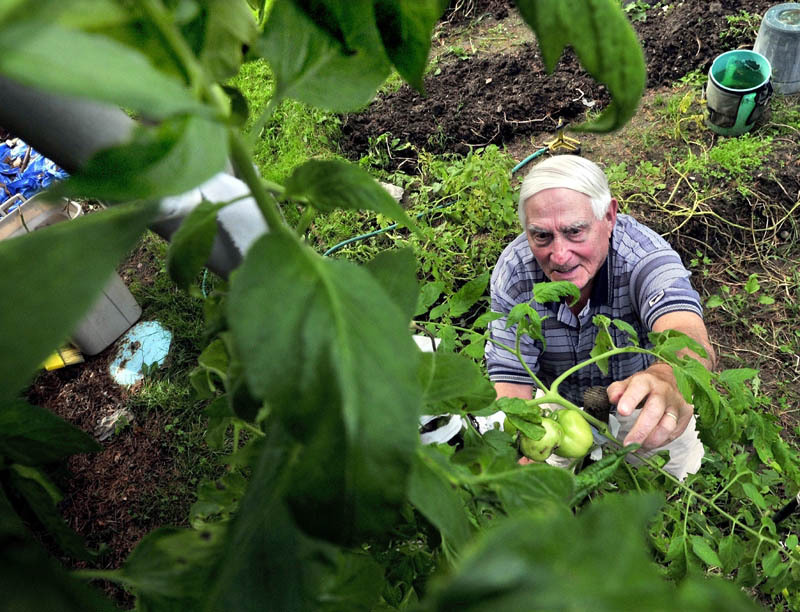 Avid gardener Sam Shapiro reaches up a 13-foot tomato plant to pluck green tomatoes at his home in Waterville. Shapiro said he has never seen such a tall plant in his 50-years of gardening. Staff photo by David Leaming Avid gardener Sam Shapiro reaches up a 13-foot tomato plant to pluck green tomatoes at his home in Waterville. Shapiro said he has never seen such a tall plant in his 50-years of gardening.